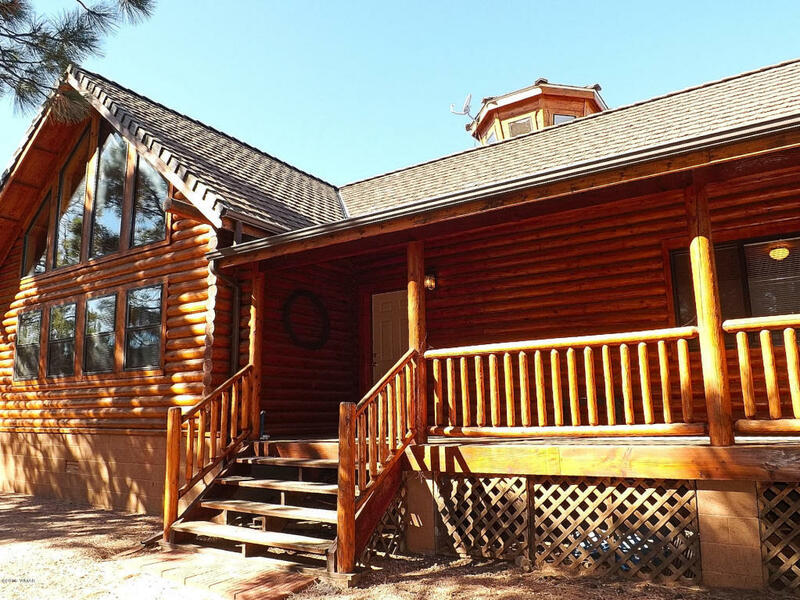 Stunning 3 BR/2 BA, 2089 SqFt full log cabin in the Mogollon Air Park. This home is smartly situated on a heavily treed 1.09 acre homesite with direct access to the taxi-way and located on a private cul-de-sac. This full log cabin features a great room design with a wall of windows, a stone faced wood burning fireplace, knotty pine T&G ceilings, tiled and carpeted flooring, a loft with access to a cupola with 360 degree panoramic views, a laundry/mudroom and an easy workaround kitchen with island and lots of cabinets. The exterior boasts two large decks, tiled roofing, gutters and downspouts, and a 40 x 50 pre-wired cement pad for a hangar or large garage.